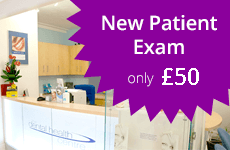 The Dental Health Centre Grantham offers an established and trusted service to help achieve healthy mouths and attractive smiles. 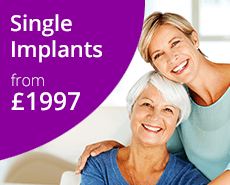 Dental implants not for you? Then a well-made set of new dentures may be the answer. If your dentures are more than six years old they may benefit from replacement. With time the gums shrink and the denture teeth wear. Leaving it too long before they are replaced can make it more difficult to adapt to a new set of teeth. Making dentures that perform as well as natural teeth is one of the many challenges of modern dentistry but our improved knowledge and techniques will ensure your new dentures look and feel great. Good dentures can improve your quality of life and our aim is to provide natural-looking, functional dentures that allow you to get on with your life, with an attractive appearance and the ability to eat comfortably. 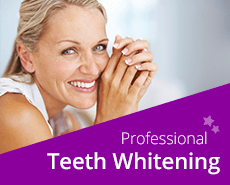 As we get older the colour of our teeth changes and they gradually darken. Dentures, where the teeth are too white, too uniform and too perfectly spaced, are an instant giveaway. Aesthetic advances in dentures mean we can now offer more natural-looking teeth, to include tooth shades that look realistic and that can even be customised with irregularities.